While my team failed to make the NIT, there are 68 other teams that have high hopes to end their season the champion. After the first weekend, 68 has been reduced to 16, with some pleasant surprises in the early rounds. In the first four, Albany, NC State, Cal Poly, and Tennessee survived. While these teams are given a chance to continue, it is never assumed that they really get any momentum from their play-in game. Cal Poly and Albany were set up to take on Wichita State and Florida, respectively. Meanwhile, NC State and Tennessee had more favorable match-ups against Saint Louis and Massachusetts. The first full round was a wild ride! 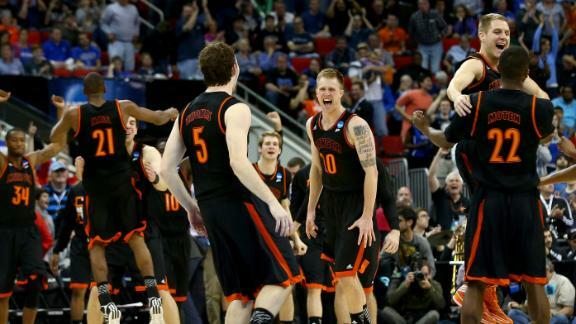 There were a number of upsets that truly stunned audiences and gave some cinderella teams real hope to press forward. The #1 and #2 seeds all survived, though Virginia was given a scare against Coastal Carolina, but here are the most interesting headlines from the Round of 64. Pittsburgh had a 9-8 match up with Colorado and dominated the game with a 29-point win. VCU’s experience with the tourney has been beneficial in the past, but Stephen F. Austin University was ready to play and steal a 2-point win. Dayton looked to be the upset king on day 1 with a last second win against state rival Ohio State. Stanford upset a lot of brackets that believed New Mexico had a shot to go deeper this season. Harvard achieved a rare tournament win against the struggling AAC team Cincinnati. On day 2, North Dakota State surprised Oklahoma, as the state came up 0-3 with loses for OSU and Tulsa as well. Tennessee became the only play-in team to steal a win versus their first real tournament opponent versus UMass. Mercer joined the BEAT DUKE club (with Lehigh) with a 78-71 win against the Blue Devils. This makes Duke’s 2nd first round loss in the past 3 years. The second round was a little more straightforward but included a few fun upsets as well. There was a lot of faith in the undefeated Wichita State, but Kentucky’s youth and energy propelled them to a close victory after WSU’s final shot was just off the mark. The rest of the #1s survived, but a few other big teams were not so lucky. 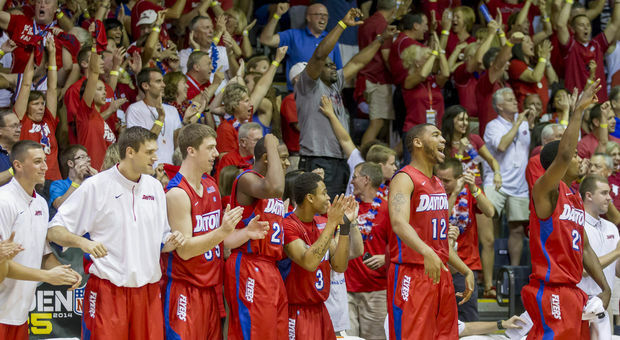 Dayton was ready for the second round as well and shocked Syracuse, who failed to sink a single 3 the entire game. The Flyers move into the Sweet 16. Kansas gets sent home early after Stanford surprises the Jayhawks, though they were not the only #2 seed to fall. Iowa State squeaked by UNC. Though not an upset by the rankings, the Tar Heels are left with a controversy with the game clock operation that changed the play on the court in the final 1.6 seconds. Connecticut plowed through former conference foe Villanova in this AAC-Big East matchup. Baylor demolishes Creighton, as two players from the Bears are able to outplay and outscore McDermott after 40 minutes. Tennessee and Mercer made up an 11-14 matchup, which left Tennessee to join Dayton as the two sub-10 seed teams to make the Sweet 16. There are a number of great match-ups coming up this Thursday and Friday. 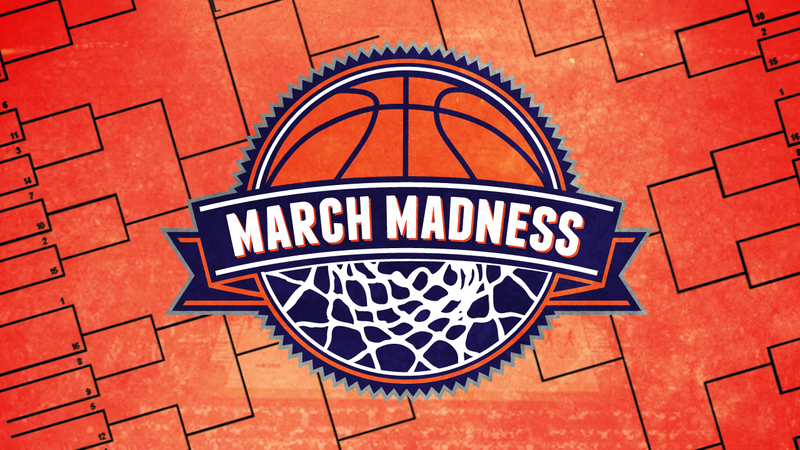 Virginia and Michigan State are two very possible Final Four teams, but have to face each other (and Iowa State or Connecticut) to get there. Louisville and Kentucky met up for a state rival showdown. We get a break for a couple of days, but the action starts back up later this week. While traveling along the road, all Eugene can seem to do is ramble about video games and the virus. Abraham catches Tara that night and recommends that she needs to get some sleep, but decides to chat her up for a bit first. They connect a bit but the next day is just more of the same at first. Along the tracks, the group discovers a sign from Maggie, Sasha, and Bob about meeting at Terminus. Glenn immediately starts to run down the tracks. 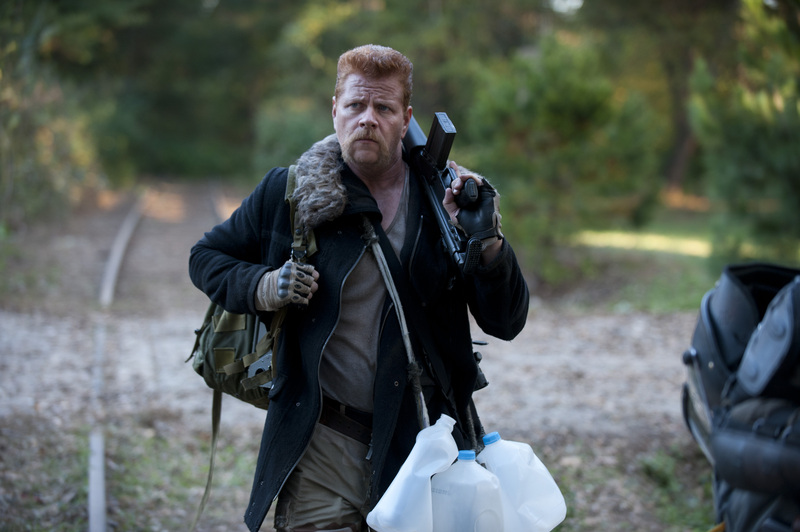 After a while, Abraham calls Glenn back to set up camp. They disagree initially when a walker falls out of the tower. In the scuffle, Tara gets knocked down and hurts her leg but agrees she can keep going. 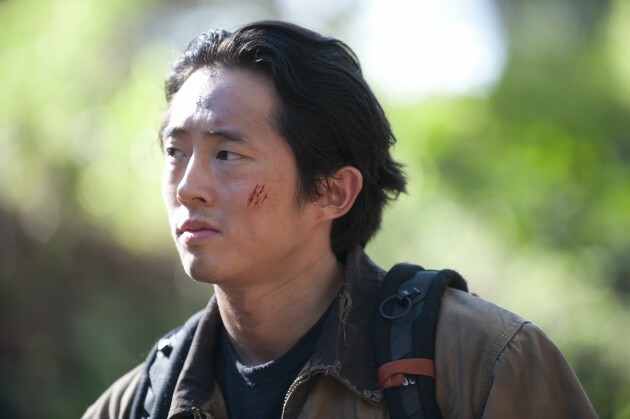 In order to stay on the move, Glenn agrees to give Eugene his riot gear. Out in the woods, a walker sneaks up on the marauders but gets caught in the barbed wire. One of the men takes care of it. They notice that Daryl has stepped out but left most of his belongings at the camp. Len goes to find him and catches Daryl hunting. Jumping in on his shot, they get into an argument about who gets the rabbit, but Len continues to run his mouth about losing a woman. Just before drawing his knife on Len, Joe stops the fight and settles the dispute by cutting the rabbit in half. Joe continues to explain to Daryl the rules of the group along the path. Daryl continues to struggle with joining the group but cannot convince himself to leave out on his own just yet. Rick leads his group along the tracks, but Michonne and Carl are having a little fun walking on the rail beams. Carl keeps his balance a little longer and wins one of Michonne’s candy bars. Carl splits the bar in half and reminds Michonne that they always share their treats. Further along the path, Glenn’s group comes across a tunnel but there is another sign from Maggie. They can hear walkers in the tunnel, so Abraham tells Glenn that they will need to part ways so that he can keep Eugene safe. Glenn and Abraham share a moment, Rosita says her goodbye, and Eugene tosses them a compliment but with an aside to Tara. Abraham’s group doubles back while Glenn and Tara make their push into the tunnel. Tara talks about her sadness with losing her family but also seeing Hershel dead. They come across a collapse in the tunnel with a number of walkers trapped in the stone. After scoping out the mess, Glenn starts to kill some of the walkers to climb on top of the stone. At the top, Glenn and Tara discover that there are a hoard of walkers waiting on the other side of the rubble. Glenn notices that there are no bodies on the ground or walkers that look like Maggie, so he assumes they made it through. Glenn sets up a flashlight on the top of the rocks while they try to sneak past. Tara slips as one of the rocks breaks and gets caught in the rubble. Abraham, Rosita, and Eugene discover a car and dispatch the walker inside. Rosita and Eugene get into a little dispute over who gets to navigate. Rosita gets made about Eugene’s poor navigation, but Eugene admits that he wants to see if they can save Glenn and Tara on the other side of the tunnel. Eugene accidentally knocks a sleeping Abraham in the head in the back seat when they see something down the tracks that catches their attention. The marauders take refuge inside an auto shop as Daryl shuts the door. The men claim all of the cars, leaving Daryl to lay down on the ground. 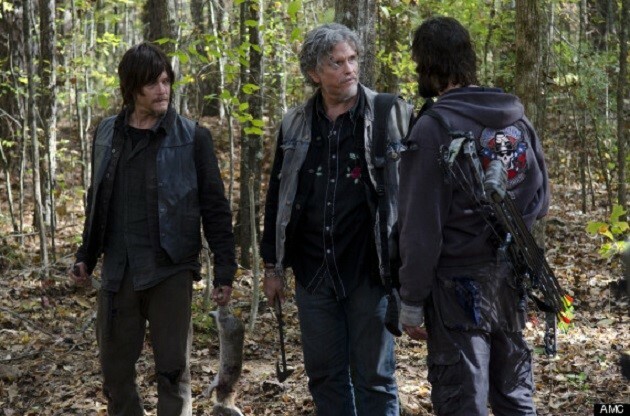 Len gets mad at Daryl and believes that Daryl stole the other half of the rabbit. Joe starts to mediate and gives both men a chance to confess the truth. They both claim not to have done anything. Joe turns on Len and punches him in the jaw, telling the rest of the group to punish him. Joe admits that he saw Len plant the rabbit in Daryl’s bag and uses the moment to try to snare in Daryl a little more. The next morning, Daryl finds Len slaughtered outside of the building as the group presses forward. They come across a Terminus sign, when Daryl asks about what they are doing. Joe admits that he was attacked (by Rick), as one of his men was strangled and turned on the group at the house where they had settled. Tara tells him to leave but Glenn refuses and starts shooting until he is out of ammo. Suddenly, someone down the tunnel shouts to get down and a barrage of gunfire takes down the rest of the walkers. Out of the shadows appears an ecstatic Maggie who runs up and kisses Glenn. They set up the tunnel to be safe for the night. Glenn introduces Maggie to Tara, who appears challenged by all that she knows. Abraham tries to rally the group to head to Washington, but Eugene admits that they are best to go to Terminus and stock up on supplies. Abraham is resistant but agrees, especially since most of the group confirms they will travel to DC with him. Maggie and Glenn cozy up and reconnect about how they survived. Maggie gets Glenn to burn the picture he has of her as a symbolic gesture of her decision to never leave his side again. The group finally reaches Terminus and slowly makes their way through the gates. They see a sign to lower their weapons and eventually come across a woman at a grill. She introduces herself as Mary and says that she’d like to get them some food. Reaction: A little less focused than the past couple of episodes, the main theme settled on a sense of belonging. Each of the main characters found themselves struggling with needing to connect, reconnect, or find a sense of belonging that had been eluding them. Daryl has been stuck with this group of marauders and Joe is trying at all costs to recruit him. While most of the men are out for themselves, Len was looking to make a statement against the new guy. 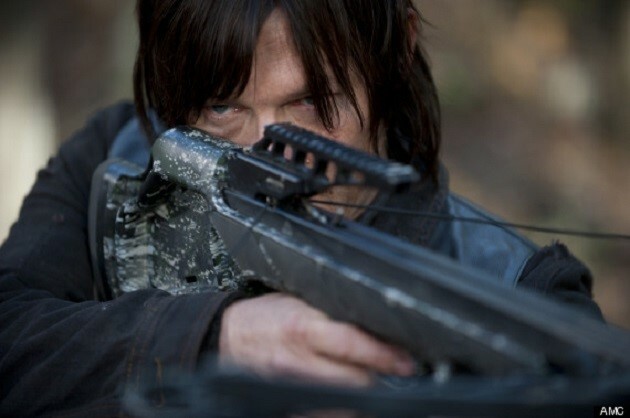 He saw Daryl as a threat, while Daryl still was not seeing himself as a true member of the group. Joe used the tension as a way to recruit Daryl. Still throughout the entire episode, there was a clear hesitation about trusting these men, especially with Len’s aggressiveness, the comfort with killing Len for breaking a rule, and Joe’s calm demeanor. Daryl may be a tough guy at heart, but he has not forgotten about Beth or the rest from the prison. If he is faced with reconnecting with any of the prison survivors, he will likely turn back to rejoin them. Glenn was so set on his task of finding Maggie that he refused to let Abraham slow him down. Even parting ways, Maggie meant so much to his reason for survival at that point that nothing else even mattered. It appeared that he was using Tara’s willingness to follow him as a means of pressing forward, even with Rosita’s and Abraham’s disapproval. In the tunnel, he had a moment to reconsider his choices and go around, but he felt too close to give up. When he finally reconnected with Maggie, both characters had a sense of relief that their worries about the other were finally over. While the rest of the group seemed willing to press on to DC, they also wanted assurance for whether the rest of the prison survivors were alive or not. Tara is a woman without a true home. While she has been traveling with Glenn and is considering pressing on to DC, she still seemed to feel like she was stuck on losing her niece and sister. She followed Glenn out of necessity and guilt for what happened at the prison. She blames herself so much that she could not break away (at least until Glenn found Maggie) but she also seems like she will never let herself lower her guard. Glenn may have accepted her but he lied to Maggie about Tara’s real connection to traveling together. There may eventually be a conflict between Maggie and Tara, but she may never let that happen out of both fear and guilt. If she survives long enough, she may eventually be able to defect and join a different group. Abraham’s group is in a bit of a different situation. While their mission still focuses on getting to DC, Eugene shooting up the army truck diverted their efforts for the moment and forced them to follow with Glenn until they found new transportation. Abraham’s situation is simple: build a group and get to DC. He is not as concerned about who joins the cause as long as they are willing to participate in their mission. Rosita is basically under the same goal, though she seems less concerned with increasing the group size. Eugene is a different story. He has control over the group because he is the one with the answers, but he also just wants to belong. He believes that he must surround himself with good people, so he purposely misdirected Rosita in the car to circle back. He seems much more about self-preservation than he has actually led on at this point. If his role in the comics is any indication, some drama will unfold in the near future. Rick, Carl, and Michonne did not have much going on other than their railway game, but it appears that a lot is coming their way in the next episode. Trouble is coming and Terminus is likely not all that it seems. While this episode played it out like a peaceful community behind some relatively open gates, it is likely that something shady is on the inside of that place. It is still unclear if Daryl with survive the group he is with or if he will fall by human hands.